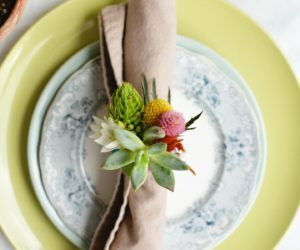 As you may have noticed, we love discovering new and ingenious ideas when it comes to repurposing old stuff or using basic items to create unique and cool things which can ultimately improve home decor or the ambiance in a space. 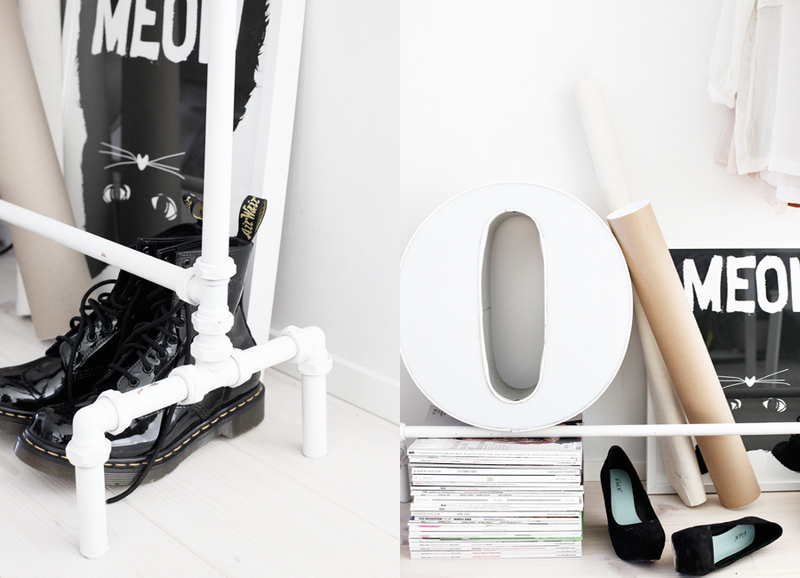 Today we have something special in store for you: 40 cool projects which show you how to use PVC pipes to create stylish accessories and decorations for your home or event furniture. They’re all so great that we can’t decide which ones we like best so we’re just going to show you all of them and let you pick your own favorites. 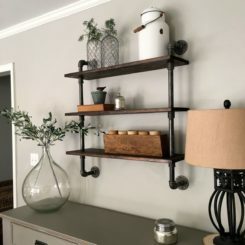 A cool thing about pipes in general is the fact that you can connect them in all sorts of ways to create interesting installations and sculpture-like pieces. 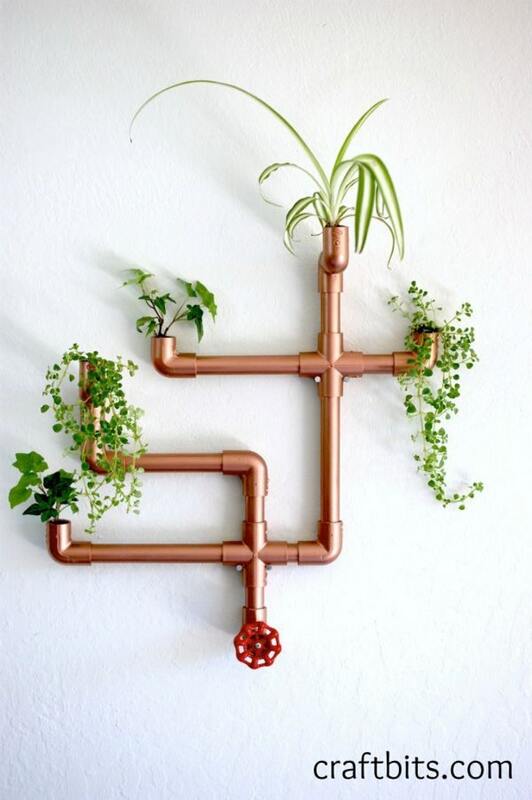 One example is this PVC pipe wall-mounted planter which doubles as a cool ornament and conversation starter. If you want to create something similar you’ll need some 1/2” PVC piping cut to different sizes, elbow fittings and crosses as well as a valve. Air plants are the best in this case because they don’t require soil. 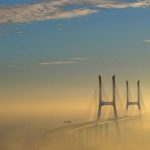 Find more details about the project from craftbits. 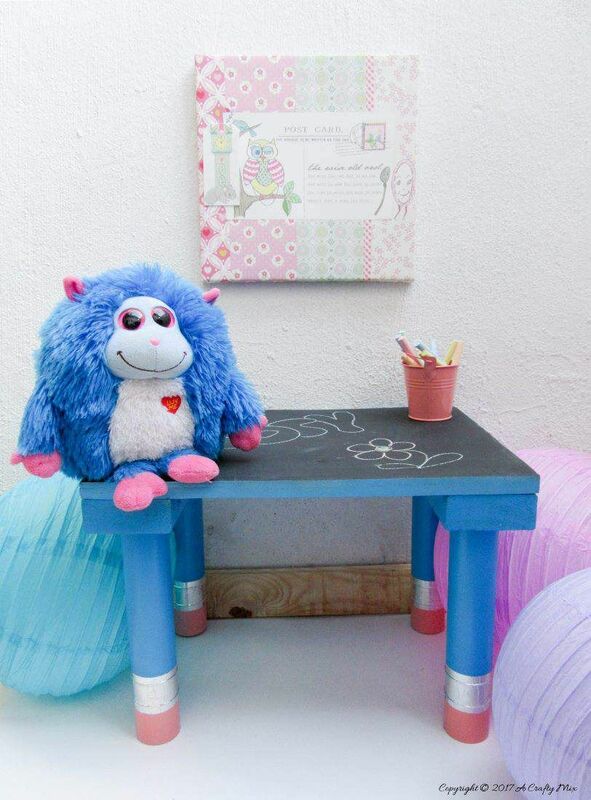 This cute little kid’s table has legs made out of PVC pipes. They’ve been painted blue, the tips were painted pink to look like pencil erasers and then some tape was wrapped between the blue and the pink sections to complete the pencil look. The top of the table is made of solid wood. 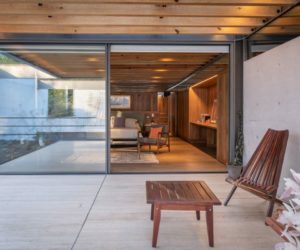 The design is both pretty and practical and the project is quite simple. You can find all the details you need on acraftymix. 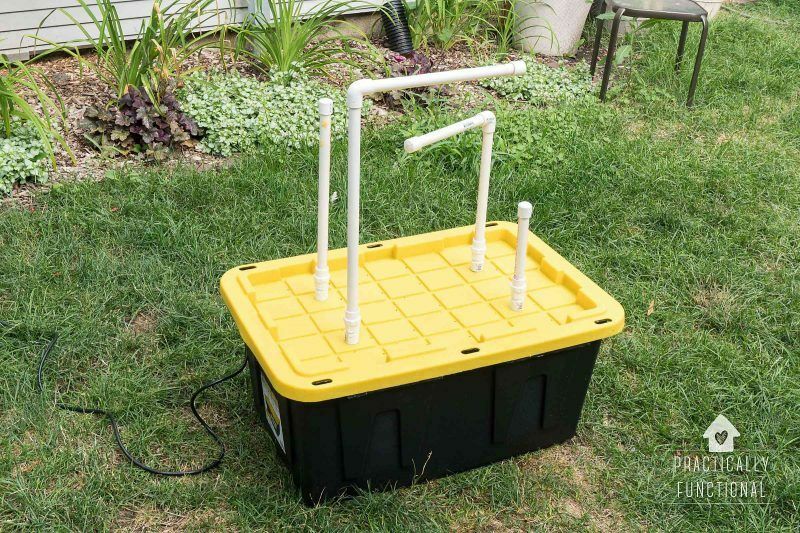 There are all sorts of fun things that you can build using PVC pipes among other things and one of them is a water table like the one featured on practicallyfunctional. This is basically a plastic box with a water pump inside and sprayers at the top. 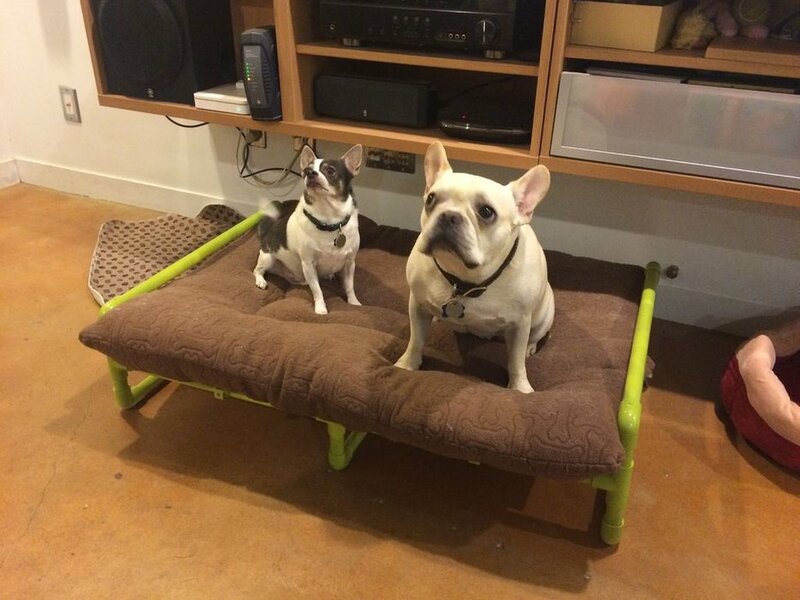 It’s fun for the kids or pets and it’s super easy to put together. You can use PVC pipes and fittings to direct the water in any way you want. 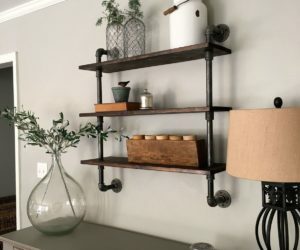 Small bits of pipes or fittings can be used in cool DIY projects as well. For example, you could make napkin rings out of screw fittings. You can spray paint them to give them a nice copper finish or you can choose any other color that you like. 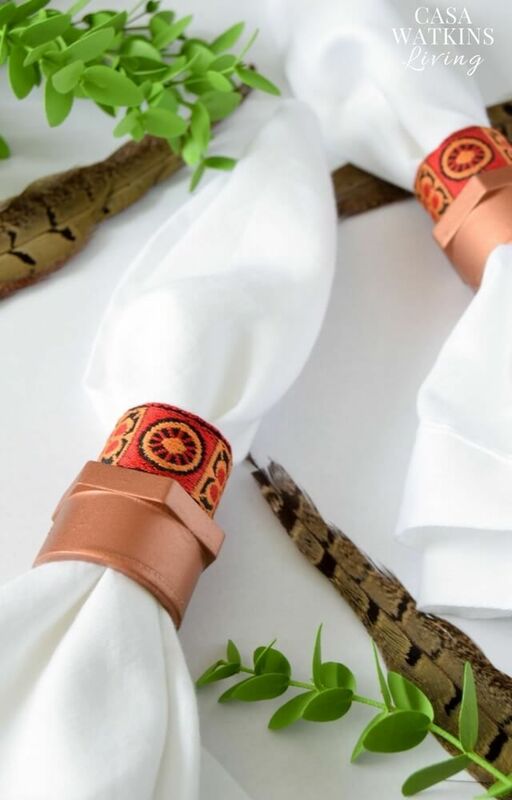 Add some ribbon for texture and pattern and connect the parts with permanent adhesive. It’s a very easy project which we found on homemadebycarmona. 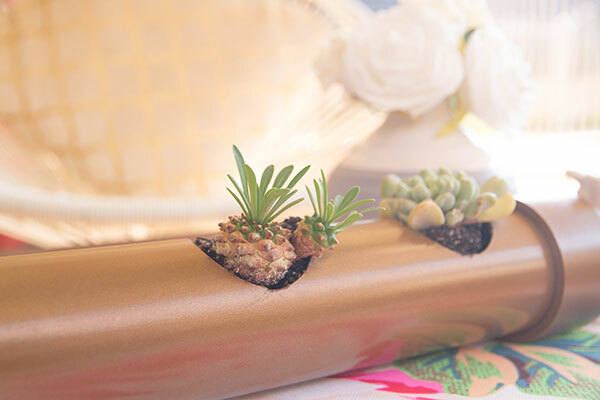 Longer pieces of PVC pipe can be turned into interesting decorations or accessories too. A succulent planter like the one featured on erynwithay.typepad is just one of the possibilities. You can make the planter as long and as thick as you want. 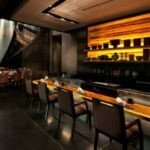 You could display it on the dining table and you can spray paint the pipe to give it a look that suits the room’s interior decor. 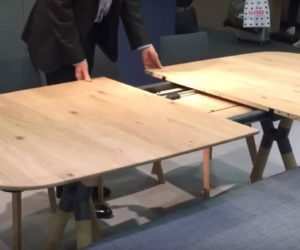 Building a table can be super easy, especially if you like PVC hacks. 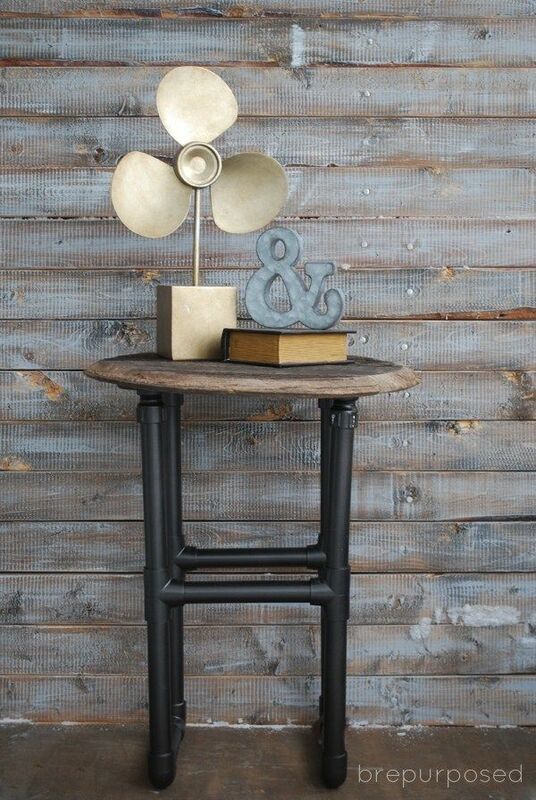 Check out this great DIY project that we found on brepurposed to find how you can easily put together a side table using nothing more than a few pieces of PVC pipe, some fittings and a piece of wood for the top. 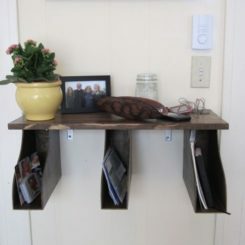 The top can be made out of repurposed materials as well. Just be creative. 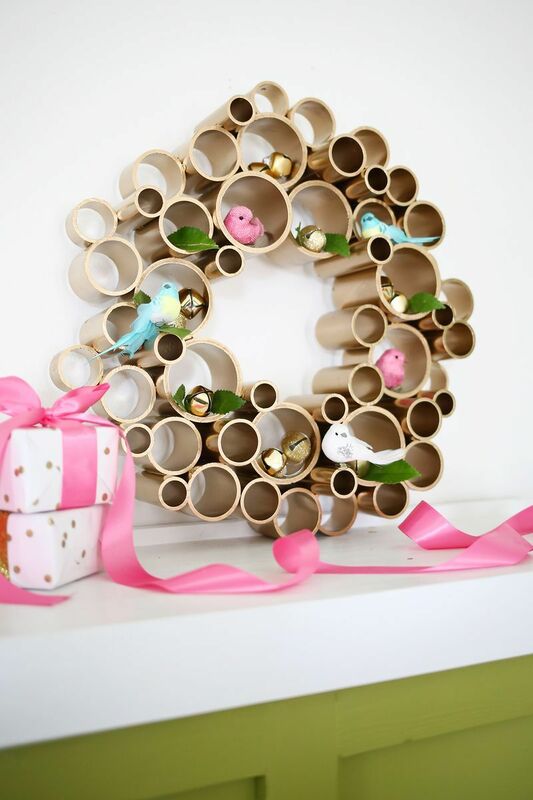 What you see here is a wreath made out of PVC pipe pieces of different diameters but this project from abeautifulmess is actually very inspiring and suggests you can create a unique wall installation in a very similar manner. 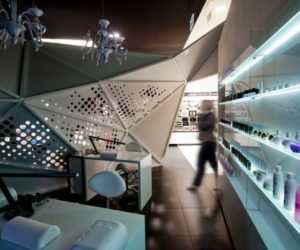 It can simply be a decorative element or you can also use it for storage and display purposes. Either way, it seems like a really great PVC hack. 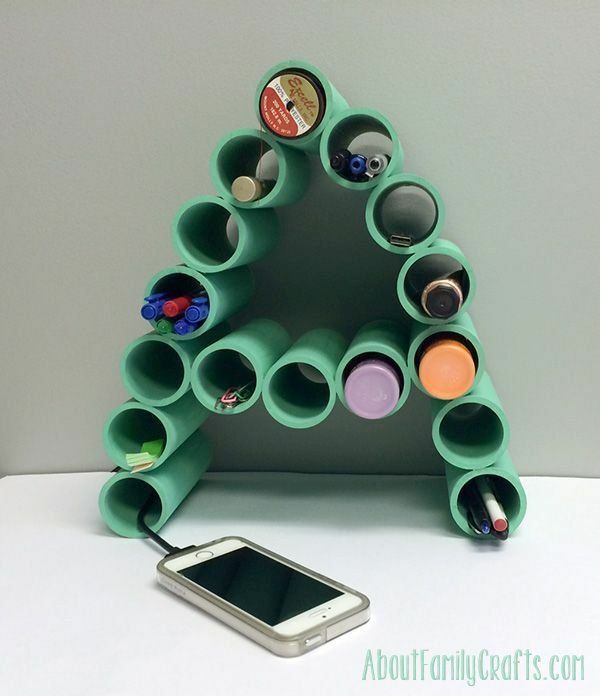 PVC pipes can also be used to craft a cool desk organizer for things like pencils, cables and other items that are usually just cluttering the workspace. 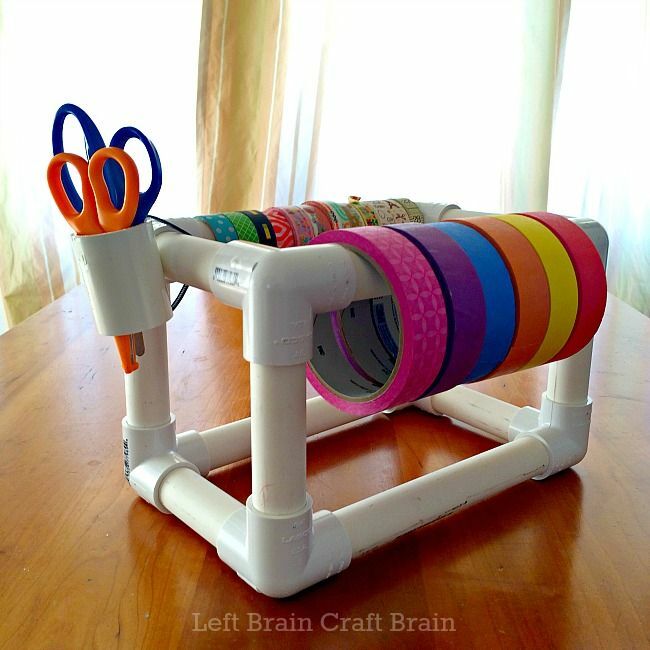 To make things even cooler, the organizer featured on aboutfamilycrafts is also monogram-shaped. That means you can personalize it in a variety of ways. Of course, some letters are easier to work with than other. 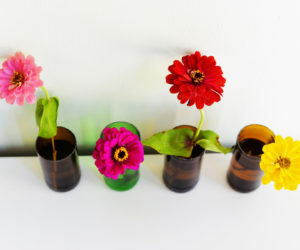 There’s also a bunch of cool things that you can do for your garden using PVC pipes. 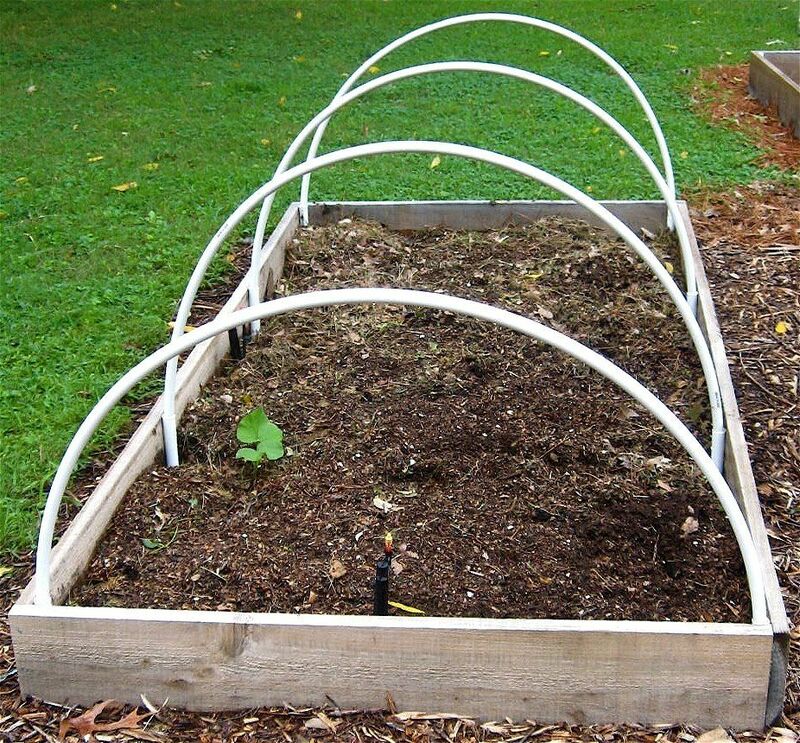 For instance, you could add hoops to your raised vegetable beds if you have any. As mentioned on littlehouseinthesuburbs, these hoops are useful in a variety of ways as they provide a framework for plastic sheeting if you want to create greenhouse conditions or for nettings that protects the plants against insects and pets. 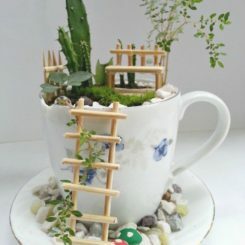 Speaking of gardens and plants, another great PVC hack related to the subject was featured on pvcplans a while ago. 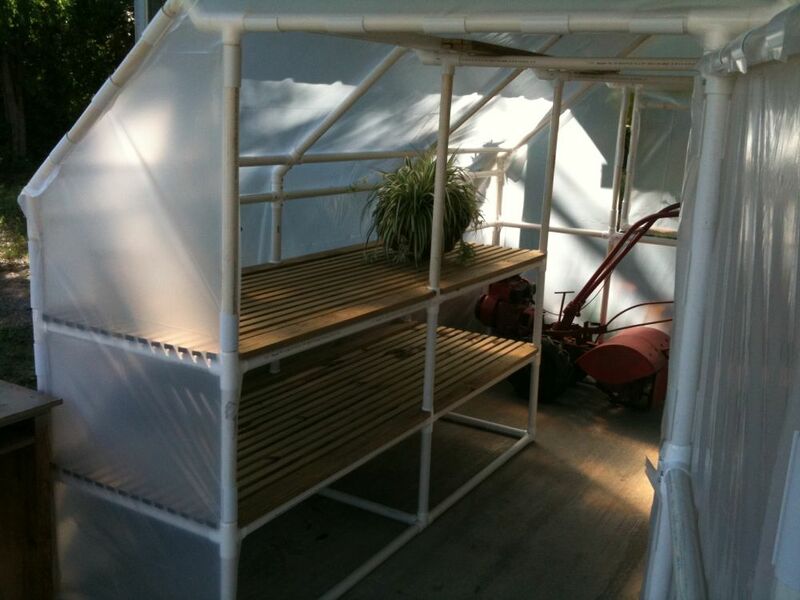 The images show a greenhouse with a frame made out of PVC pipes and fittings. 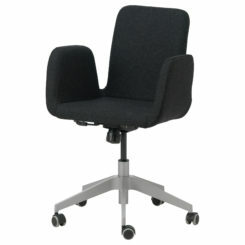 It looks quite sturdy although there are limitations to take into consideration with such a project. You know those camp chairs that have X-shaped frames and simple fabric seats? They’re often used by fishermen and campers because they’re lightweight and portable. 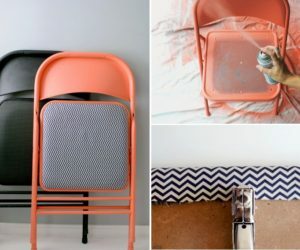 We mentioned them now because we found a tutorial which shows you how to make camp chairs out of PVC pipes and fittings. It’s a project that we found on simplesimonandco. 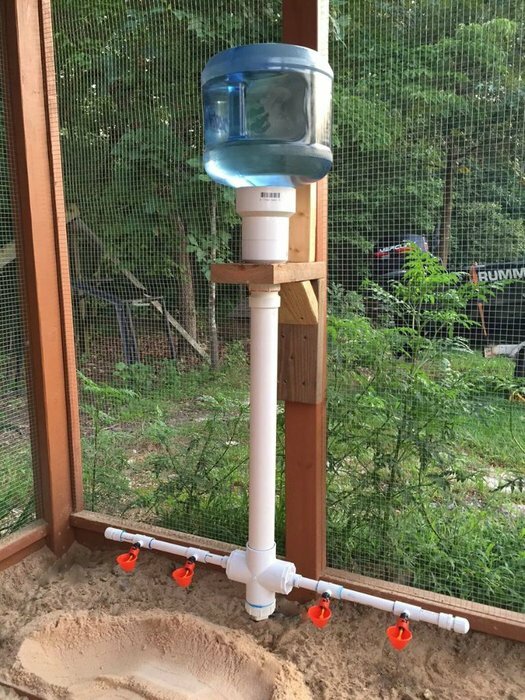 Some PVC hacks are pretty specific and unusual, like this chicken feeder featured on instructables. The feeder is a simple and ingenious tool for feeding chicks and minimizing waste and mess. 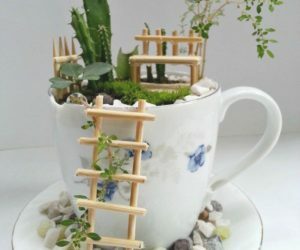 You only need a few simple parts for this project and the idea can actually be adapted if, for example, you want to craft a bird feeder for those little flying creatures that visit your garden every once in a while. 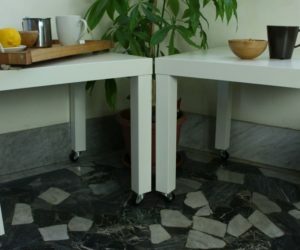 We’ve already showed you how easy it is to build a side table base out of PVC pipes and as you can imagine things are not much more complicated in the case of a large table either. On instructables you can find details on how to build a desk or a dining table in a similar manner. Keep in mind that you’ll need a big piece of wood for the top. 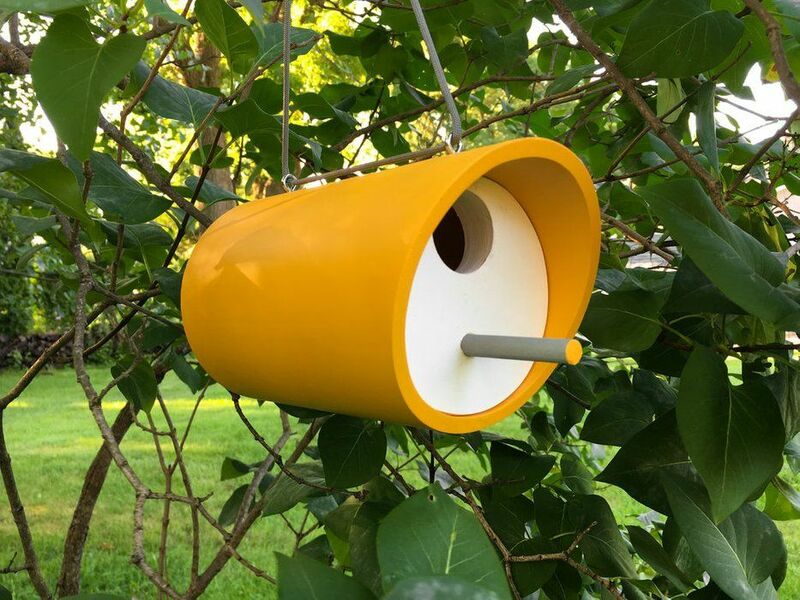 A piece of PVC pipe with a large enough diameter can even be used for making a cute little birdhouse. 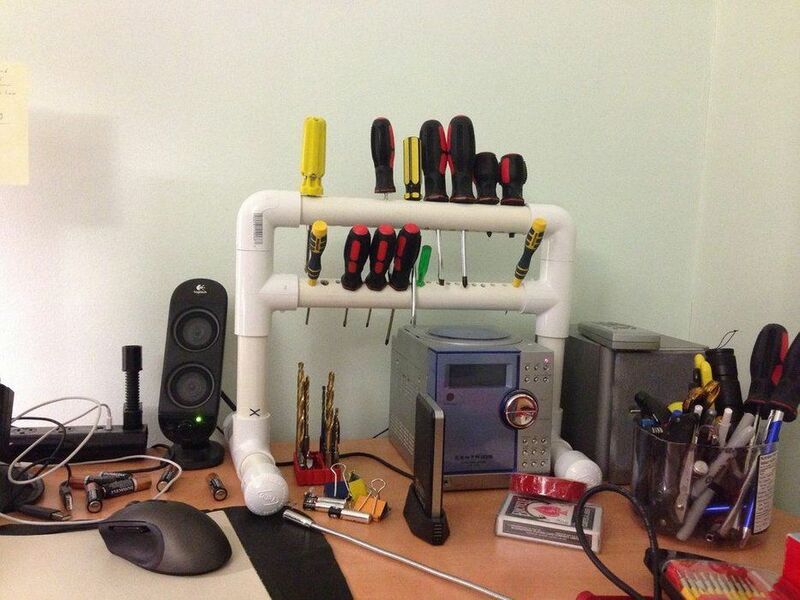 This is yet another great PVC hack shared on instructables. Here’s the list of tools and materials you’ll need for the project: a handsaw, a drill with bits of different sizes, a clamp, a rubber mallet, a 4” PVC pipe (other sizes could work too depending on the type of bird you;re building this form), 2 wooden rounds, 2 eye screws, glue, sandpaper, a metal file, outdoor spray paint and a wooden dowel. It’s quite the list for such a small craft. How do you store your screwdrivers. 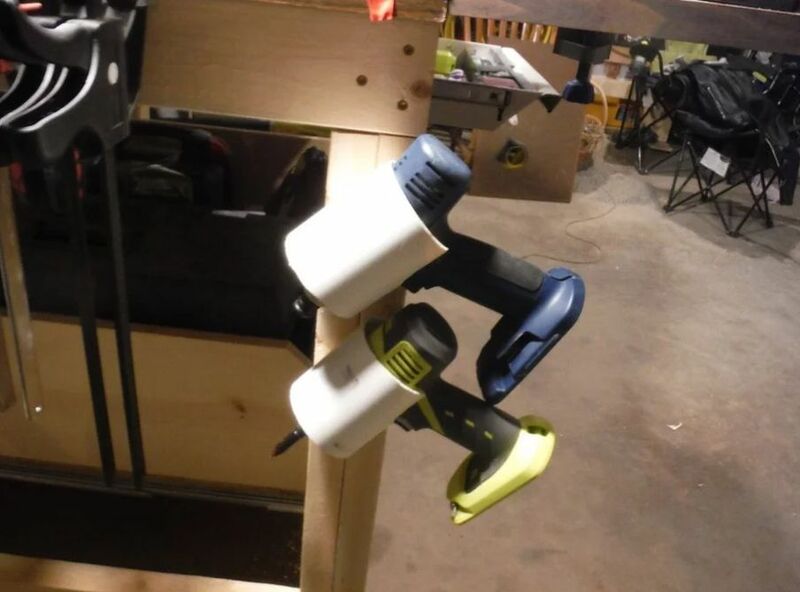 Probably not in a PVC screwdriver holder like the one featured on instructables. Isn’t this thing cool? Not only that it provides a way to store these tools but it also lets you organize them and display them in a way that’s both practical and aesthetically-pleasing. If you’re the type of person that always sorts their laundry before doing a wash then you’re probably familiar with all the frustrating things related to this procedure. 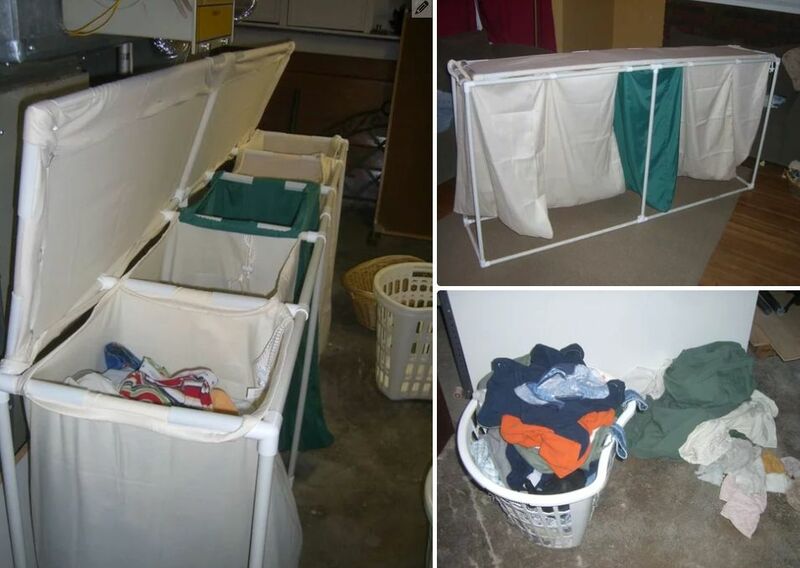 A laundry sorter would sure make things easier so why not build one yourself. 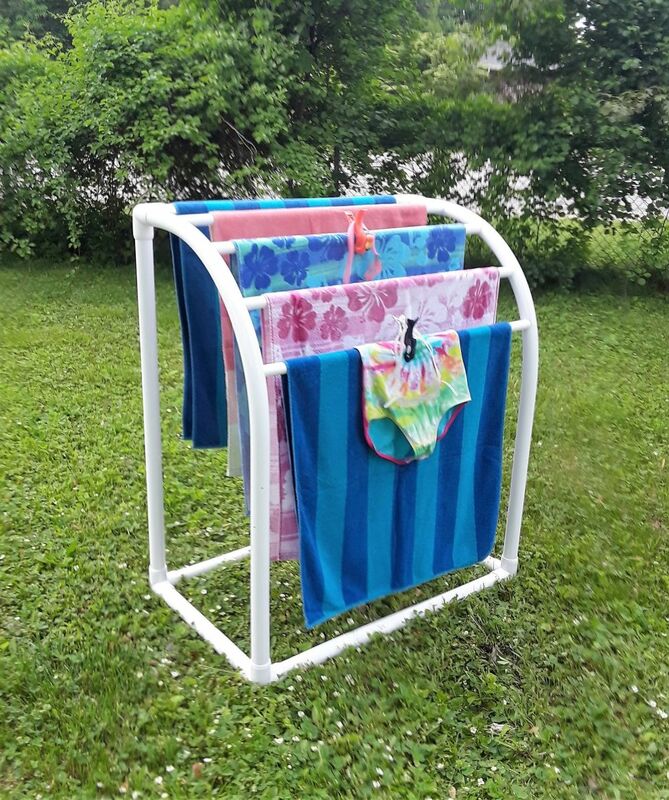 You could do a PVC hack like instructables suggests and you could put this new accessory in your laundry room or bathroom. 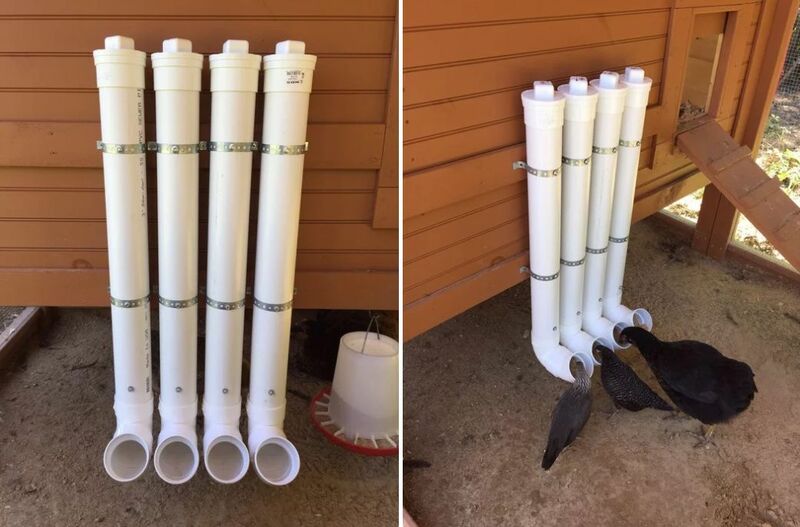 You’ve seen how you can build a chicken feeder out of PVC pipes and it was an easy projects but chicks need water too so let’s see how a PVC chicken waterer could look like. 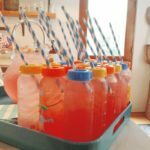 Once again, the project was featured on instructables. 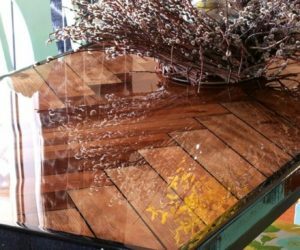 The project is fairly simple and low-cost and that means pretty anyone could try this cool PVC hack at home. Can you even believe that you could build a stand for your laptop for less than $5? That’s right, it’s that cheap. 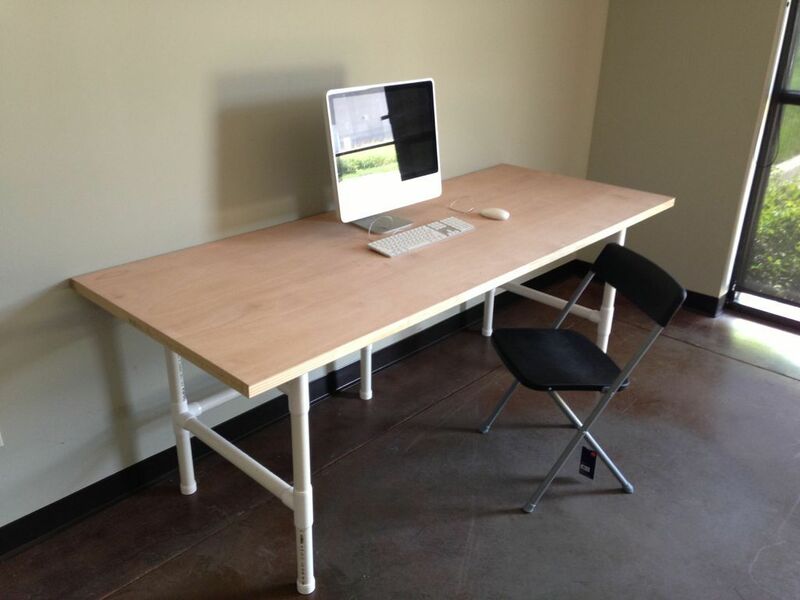 Of course, it would be a simple stand and it would be made out of PVC pipes with elbow joints and tee joints. You can even hide the cables inside the pipes if you want to. Check out instructables to find out all the details. Since we’re talking about PVC organizers, let’s check out a few more options designed to hold various other types of objects. 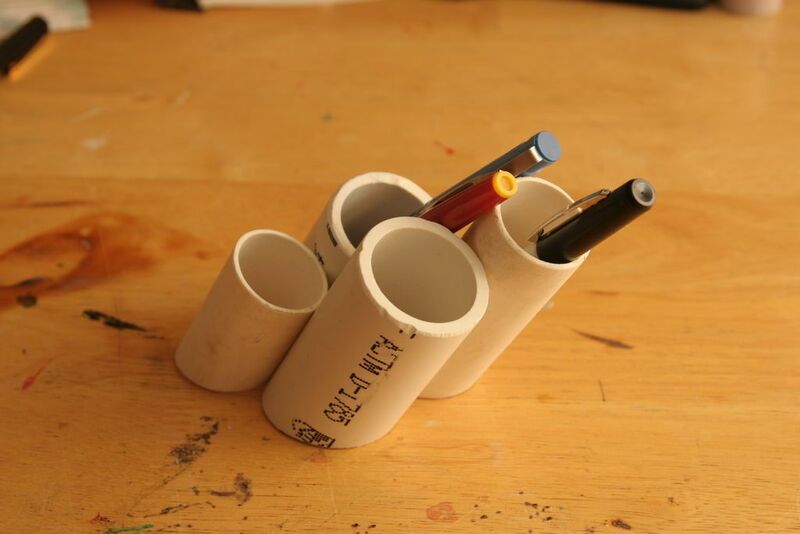 One idea is to make a desktop organizer for pens, pencils and other things. It would be very similar to what you can buy in stores but it would be handmade. You could paint it to make it look cute. Find out more details on instructables. The incredible versatility of PVC pipes basically allows us to build frames and organizers for just about anything, including guitars and other musical instruments. 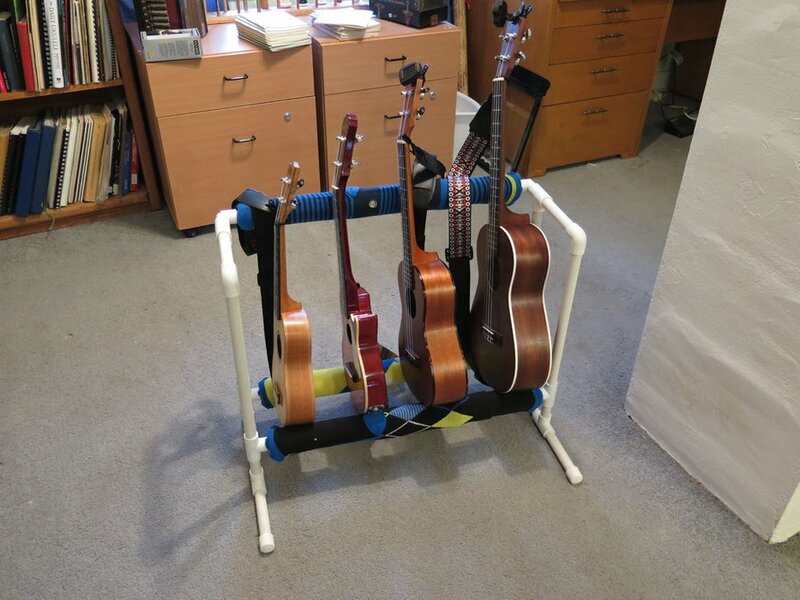 Check out this multi ukulele stand features on instructables. 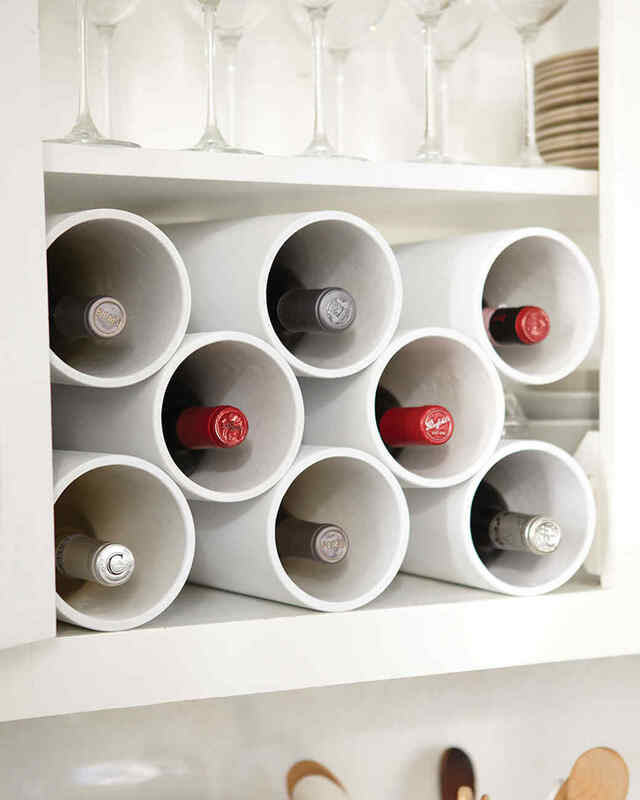 It provides a practical storage solution for something that’s not exactly common. 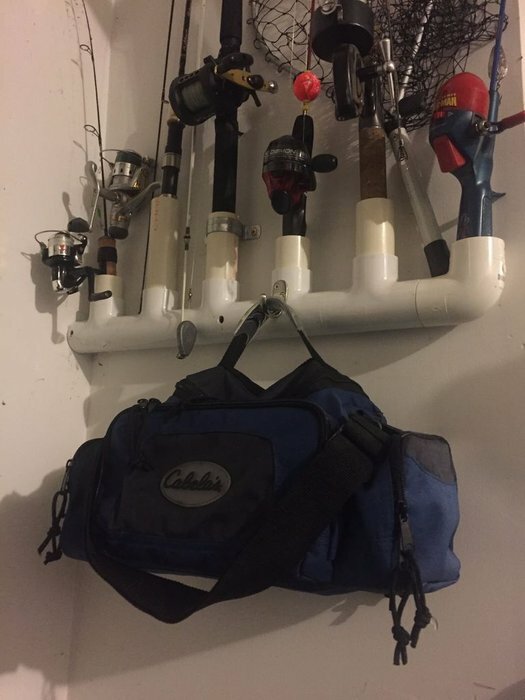 If you’re a fishing enthusiast, there’s a PVC organizer for your tools as well. 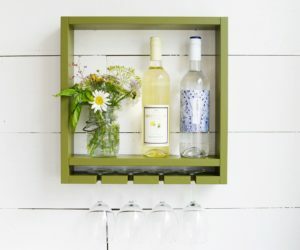 You can mount the organizer on a wall to save floor space and you can add more slots as your collection grows. Also, those hooks attached to the front are great for hanging stuff on, like hats and bags. Anyway, this is yet another cool PVC hacks shared on instructables so be sure to check out the full description if you’re interested in the project. Those thick PVC pipes with large diameters can definitely be useful in a lot of projects but thin pipes aren’t any less versatile. 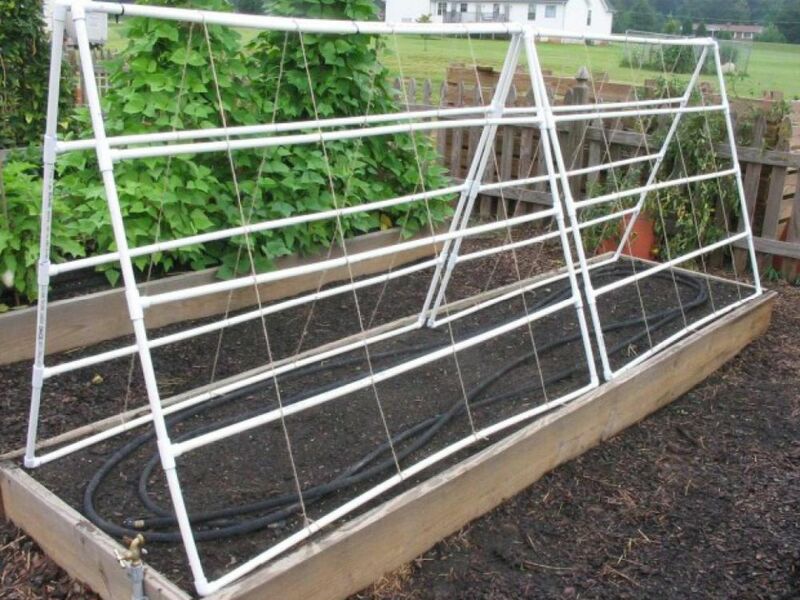 In fact, they can be used in a ton of cool ways such as for building a trellis for garden plants. 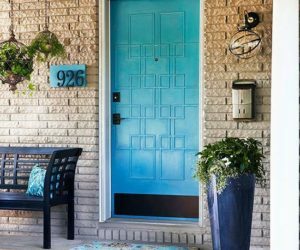 this particular idea comes from diynetwork. 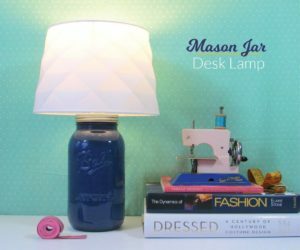 Head over there to find out all the project details as well as a list of tools and materials required for this craft. Yes, we know there are a ton of cute and stylish toothbrush holders in stores but those are usually designed to be kept on the vanity and exposes them to germs plus they take up valuable counter space. 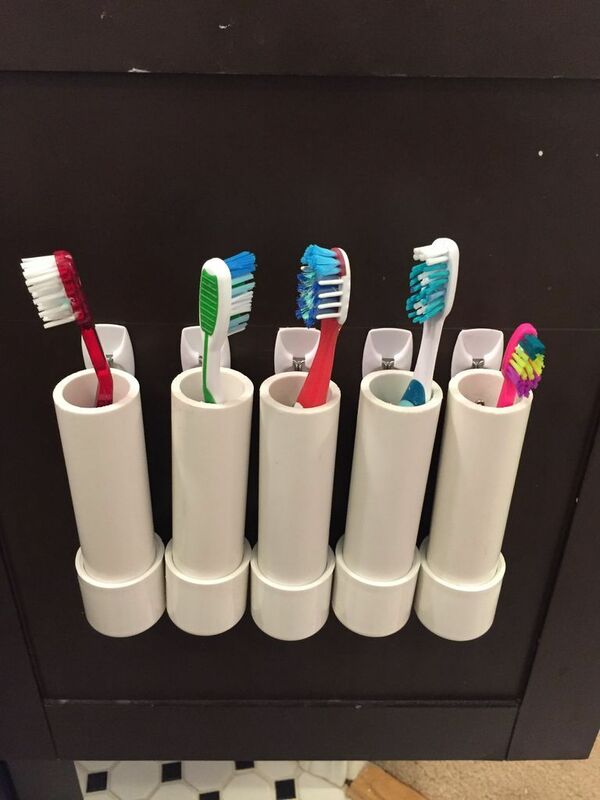 A minimalist PVC toothbrush holder attached to the inside of the cabinet door would be much more practical and sanitary. You can craft one yourself. All the details can be found on instructables. 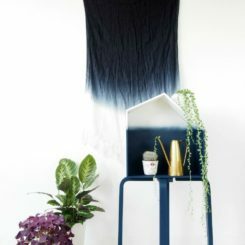 PVC organizers, as you’re probably aware by now, turn out to be very practical as well as pretty easy to build so the list continues with yet another example. 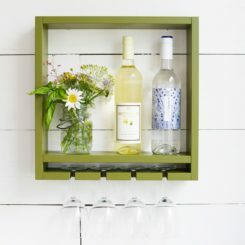 This time the project comes from marthastewart and depicts a modern wine rack. You can give yours as many or as few storage slots as you find it necessary. Actually, you can add more whenever you feel the need to. 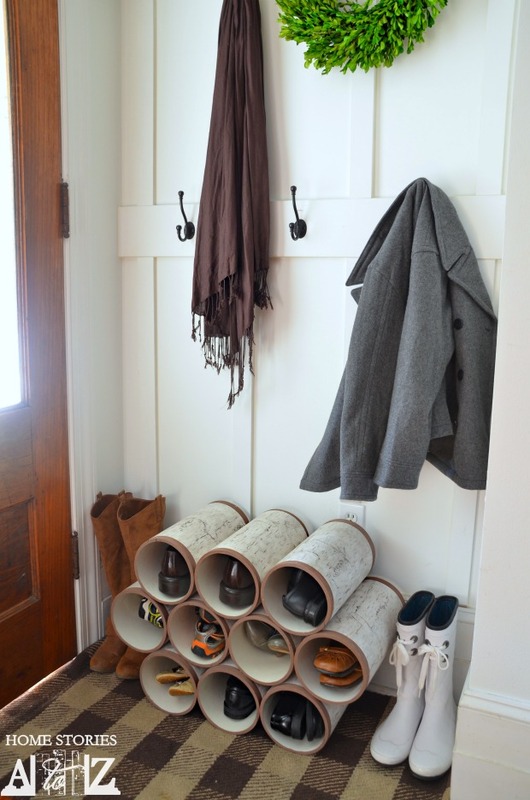 Large enough PVC pipes can be used to create a shoe rack for the entryway. You can stack and glue them together and if you want you can paint them or cover them in wrapping paper or fabric. In any case, this is perhaps one of the best PVC hacks on our list with many different possibilities for customization. 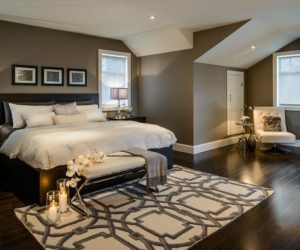 The project was featured on homestoriesatoz and that’s where you’ll find all the details. 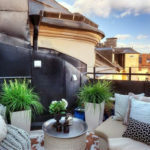 How would you like to grow strawberries in your garden or even on your balcony in a way that isn’t messy and inefficient? Yes such a thing is actually possible. 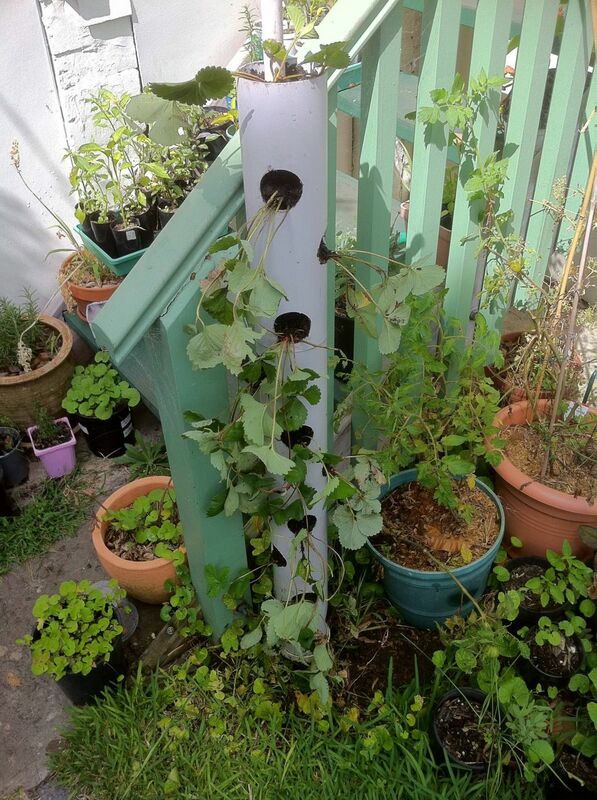 The solution is to make a vertical strawberry tube planter and yes this one is made out of a PVC pipe. There are holes in the sides for the plants and the tube is filled with soil. 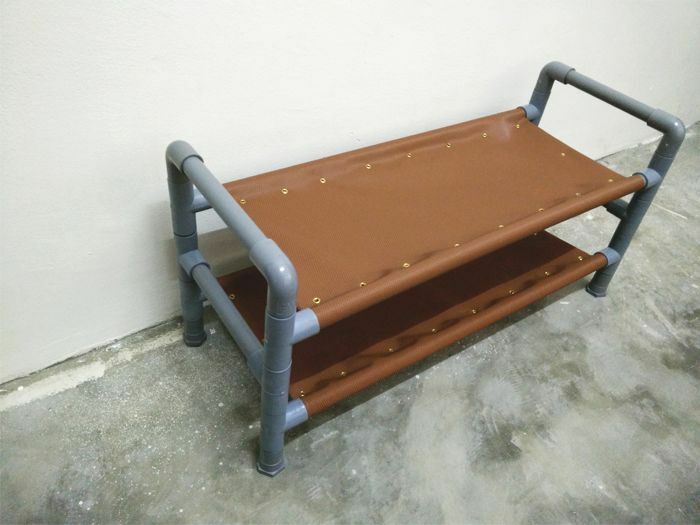 There’s a detailed description of this PVC hack on urbangreenspace. Remember the camp chair we mentioned earlier? That was a pretty cool project but you may have found it incomplete since the chair didn’t have a backrest. Well here’s a pipe chair with a backrest and everything. 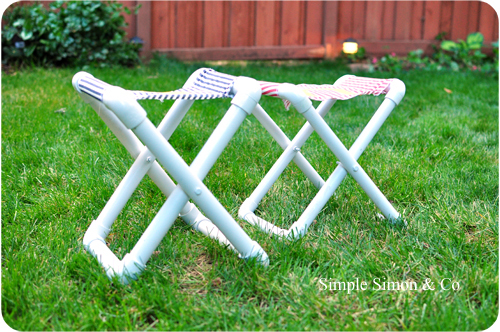 It was made in three different sizes and it’s a lovely craft for outdoor areas such gardens, patios or decks. We love the bright colors and the fabric patterns. They really give the chairs a lot of character. Check out 5thbrickhouseontheright for more details. 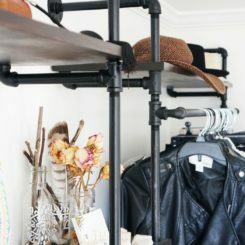 We almost forgot to mention this DIY coat rack featured on weekdaycarnival and that’s pretty funny since a PVC pipe actually looks a lot like a hanger rod. Anyway, here’s the project now. The rack has a simple and easy design but doesn’t lack charm and character. 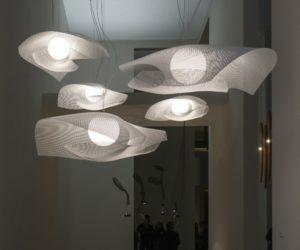 Also, there’s an infinite number of configurations and designs which can be created using pipes and fittings so think of this project as a source of inspiration for your own unique craft. 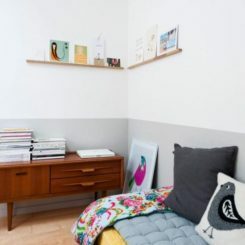 Any craft and project that helps to save space is a winner in our opinion and this one shared on newlywoodwards definitely deserves our attention. 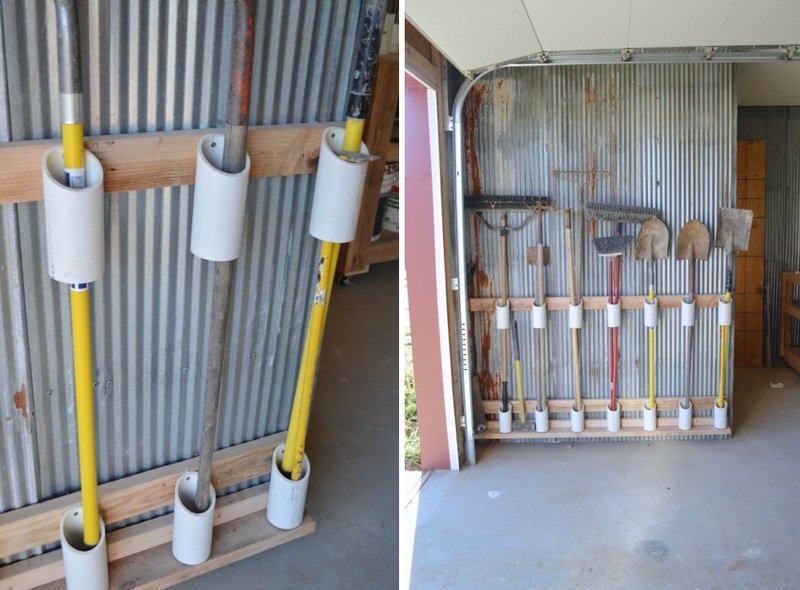 This is a very neat and practical storage solution for garden tools and things like mops and other items with long handles which are usually found around the house. 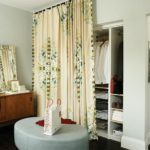 It’s a way to keep them organized and accessible without wasting a lot of space or making the house look messy. You know those luxury shower systems that spray water on you from several different angles. They sure seem nice but they cost a lot and a lot of people can’t really afford them but that doesn’t mean they can’t build their own version of a luxury shower. In fact, there’s a way to do that with less than $60 and the project involves PVC pipes and fittings and a few other things which are mentioned on instructables. 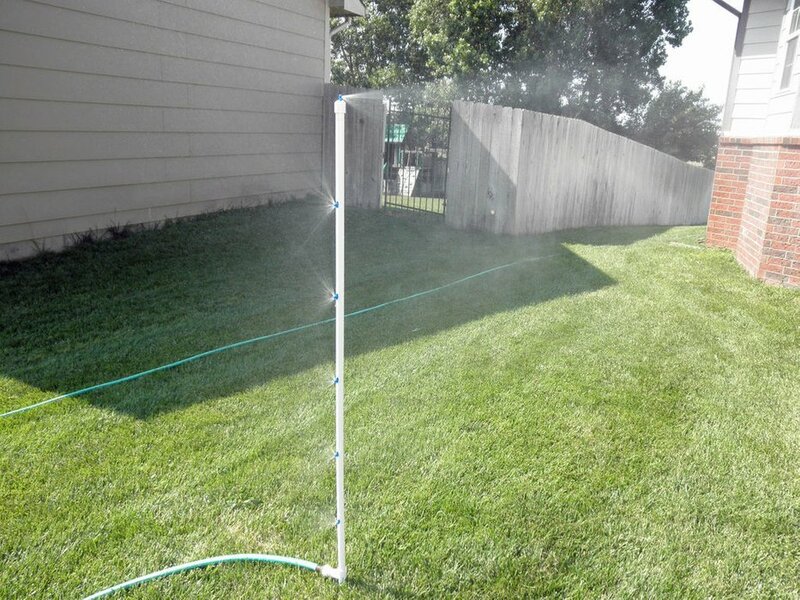 You can also use a PVC hack to keep your lawn irrigated and your dogs happy. We’re talking about this cool mist stick which we found on instructables. 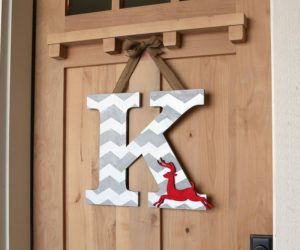 It’s a super easy and affordable project that anyone can put together with minimal effort. Also, it’s both practical and fun and that’s the best combo. Babies can be very inquisitive and sometimes you need a special divider or a gate to keep out of spaces that they shouldn’t have access to, like the kitchen in some cases. 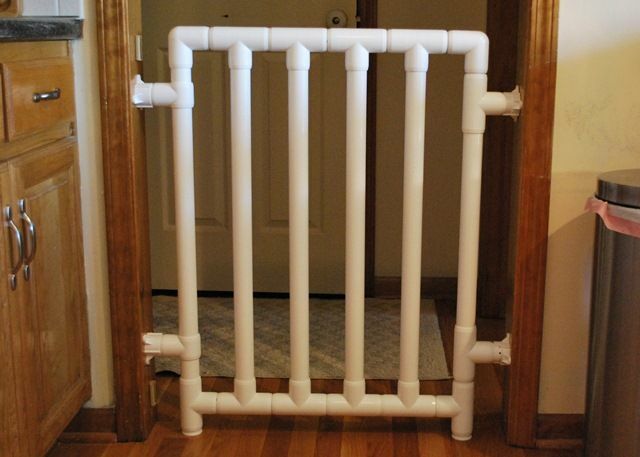 There’s enough stuff that you need to spend your money on so be creative and build a baby gate out of PVC pipes and fittings like the one featured on instructables. You can make it safe and it doesn’t look half bad so give it a chance. A bike rack is another great PVC hack worthy of attention. 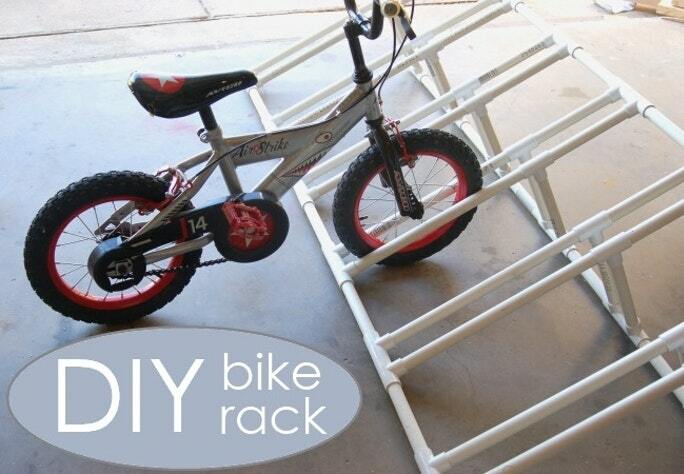 It’s something you should consider building if you have several bikes that need storage (you can store small bikes for kids and tricycles too if you make the gaps between the pipes wide enough. 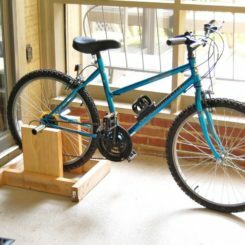 Since store-bought bike racks can get pretty expensive, this project from themaven can also save you a pretty penny on top of being very customizable. We’re starting to reach the bottom of our list and we only have a few more PVC hacks that we want to share with you today. One of them is this tape dispenser featured on leftbraincraftbrain. It’s a useful accessory for anyone who likes to use washi tape or ribbon often. It keeps the rolls neat and organized and easy to use. you can use this project as inspiration to also craft a wrapping paper organizer if that’s something that you feel would be useful to you. We’ve probably all had this problem at some point: a dresser drawer that’s a big mess. 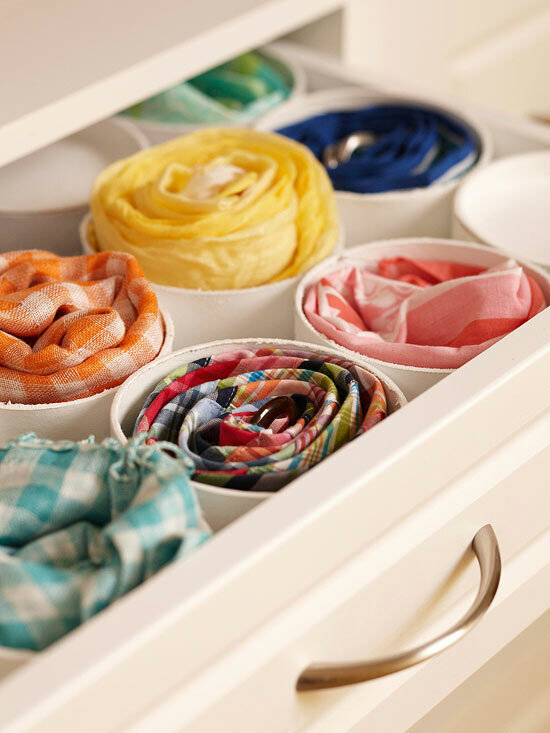 It’s that drawer where things like belts, scarves and other accessories are usually kept in. There’s just no way to organize all these things…or so we thought until we saw this idea from bhg. It shows how PVC pipes can be used to organize the drawer and to keep every individual item contained and separate from everything else. This idea can also work if you have a drawer full of cables and chargers and no good way to organize them in a neat and practical manner. Another problem some have is the lack of a proper rack for organizing and drying swimwear, towels and other pool-related items. Once again, the solution involves PVC pipes. This is a towel rack featured on etsy. 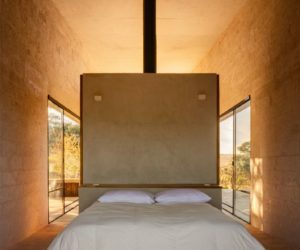 It’s simple, practical and it’s also something that you could build yourself from scratch using only a few materials and tools. Keep it by the pool and make your life easier and more enjoyable. 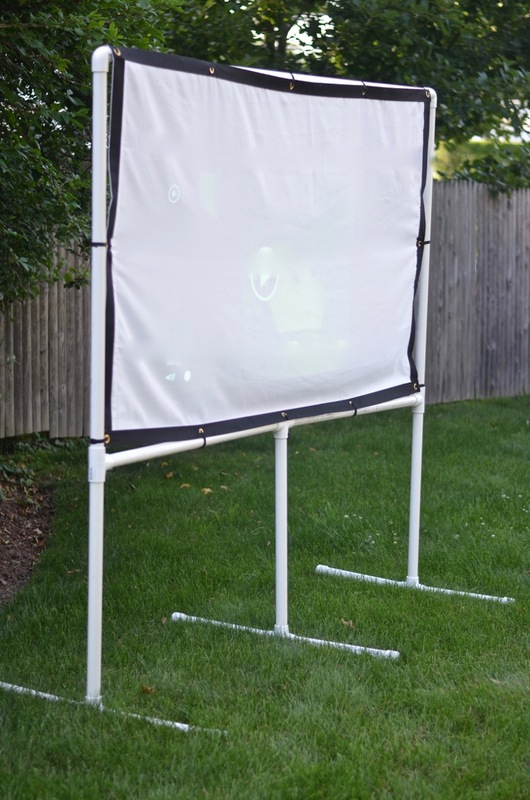 The last PVC hack that want to share with you today is a DIY backyard movie screen for those times when you want to watch a movie outside with all your friends and family. 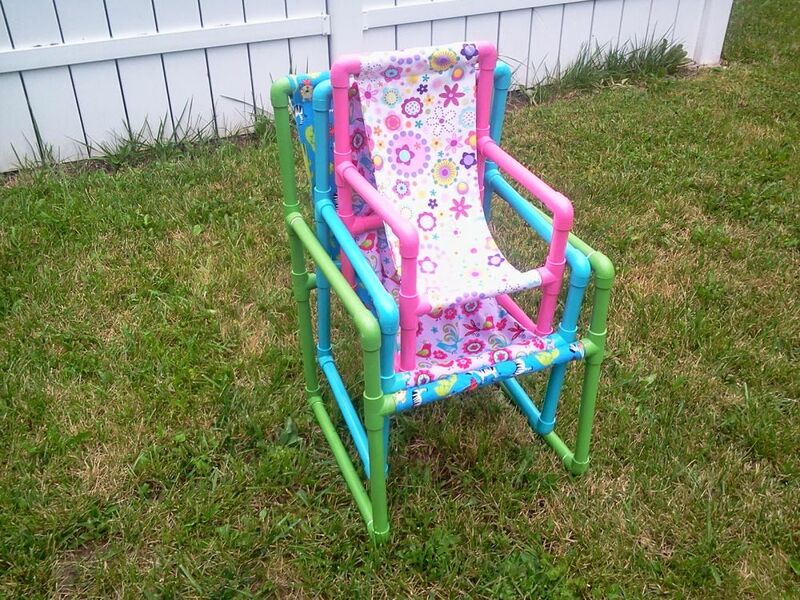 To build this you need some PVC pipes and fittings for the frame a plain fabric sheet for the screen. You can make it as big as you want and you can easily take it apart and store it whenever required. This awesome idea comes from atcharlotteshouse.